To protect all your purchased commercial Blu-ray discs from damage caused repeated playback or physical broken, many people choose to rip them into ISO image file for playback, or manage your BD movies in a more convenient way. If you have no idea about this method, you’ve definitely being the right place. This article will show you the step-by-step guide on how to create free Blu-ray ISO image files from commercial Blu-ray discs so that you can keep your Blu-ray collections on hard drive or NAS sever and then stream to multimedia players for movie playback or create a Blu-ray/DVD copy in future. It is not easy to finish that task, unless you have a lossless copy Blu-ray to ISO image file converter. I highly recommend you to use Pavtube BDMagic (Top Blu-ray Rippers Review) which can make a full copy of your Blu-ray. First download the Blu-ray ripping tool to start making 1:1 Blu-ray backup. If you are Mac user, welcome to download Mac version here. How to Convert Blu-ray ISO Image to H.264 MP4/AVI/MKV/MPG/WMV? Connect Blu-ray disc driver with your computer, and insert Blu-ray. Lauch Pavtube BDMaigc, click the "Load Disc" button and directly import source Blu-ray into this app. To make a quick and full copy of source Blu-ray movie, you can click "copy the entire disc" button in the menu bar. In this way, all contents of the Blu-ray disc will be saved to computer hard drive, including the disc menu, video streams, audio tracks, subtitles, commentary, extras, etc. 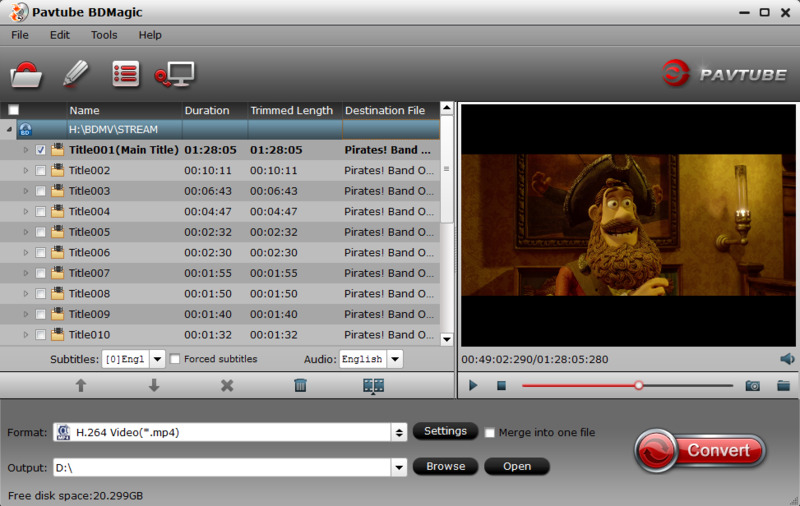 With "copy the entire disc" feature, the whole contents of a Blu-ray disc or a standard DVD are preserved with one click. Once the backup process finishes, you will get a folder named as Blu-ray movie copied in output folder, and within this folder there are BDMV and CERTIFICATE subfolders included. Free download and install ImgBurn, and then choose "Create image from files/folders" button. Browse to the Blu-ray folder or just drag & drop BDMV and CERTIFICATE folders along with any other file into ImgBurn as source. In "Option" tab on the right size of ImgBurn, set File System to "UDF" and UDF Revison to "2.50". Switch to Labels tab and type the name of the film in the UDF box. Don’t forget to set output Blu-ray ISO image destination on your computer. Make sure the free space is enough for generated BD ISO image. Hit on the Build icon and start to create free Blu-ray ISO image file from copied BD folder. After about 10-20 minutes, the creation process completes and you can save the output BD ISO image file to the NAS server or watch all your Images play back perfectly in PowerDVD using Virtual Clone Drive to mount them with. This entry was posted in Backup, Blu-ray and tagged best Blu-ray ripper, blu-ray ripper, rip blu ray to iso free, Turn Blu-ray into ISO Image File.